Crochet Videos; How to crochet basic crochet stitches. Crochet videos are great for those who just started to learn crocheting. You can find a lot of patterns presented in the word descriptions or as a graphic chart, but so many people are visual learners. For visual learners, it is better once to watch something in our own eyes instead of going through a long reading of some one's explanations. This page demonstrates how to crochet basic crochet stitches (US terminology). There are actually only three basic stitches in crocheting you have to know: chain, single crochet and double crochet. All the rest of numerous crochet are just a simple variation of these three basic stitches. Watch and follow these crochet videos and very soon you can create something you can be proud of. 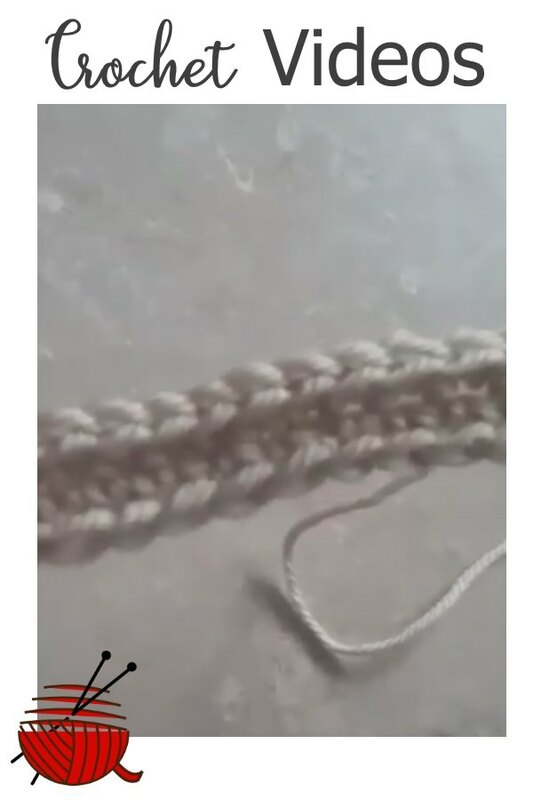 Videos will also be handy for the many experienced crocheters who share their knowledge and passion about this kind of crafting with newcomers. You can't always hold the hand of your students directing their hooks, so this is the next best thing. It is not a bad idea to keep a printed picture of all stitches in front of you while you are watching the videos. The pictures of a few basic crochet stitches can be found on the How to Crochet page. How to make a slip knot. How to make a single crochet. How to make a double crochet. How to make a half-double crochet stitch. How to make a double crochet - How to make a half-double crochet stitch. This one shows how to turn a corner and make an actual piece of work. Now that you know how to crochet basic crochet stitches, it is time to make something! Here are some videos to introduce you to the advanced technique of crocheting. Crocheting Granny Square: Chart and Videos. Picot Stitch: How to make it look neat. Crab Stitch: Reverse Single Crochet.